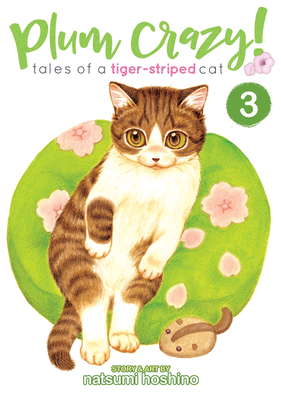 The third book in an all-ages, must-have series for cat lovers everywhere! It’s raining, it’s pouring, Snowball is making muddy mischief–and as usual, Plum is the target of the kitty’s monkey business. The excitement doesn’t end there: from a diet food fiasco to a kidnapping cat-tastrophe and the (sometimes literal!) pointy teeth of Snowball’s tricks, the adventures are endless for the Nakarai family’s feline friends. Hoshino Natsumi is a manga artist best known for her work on Plum Crazy! Tales of a Tiger-Striped Cat.